It is no secret that social media has become a mediator and even a staple for meeting new people, and interacting with friends or peers. Going out to find a date is now provided by Tinder, flirting is reduced to liking someone’s post, and the next step in any friendship or future relationship is making sure you have a mutual follow. Social media gives us the power to create an assumption of someone based on their profile without ever having to talk to them. What happens when we are too fixated with the person on the screen rather than the person behind it? 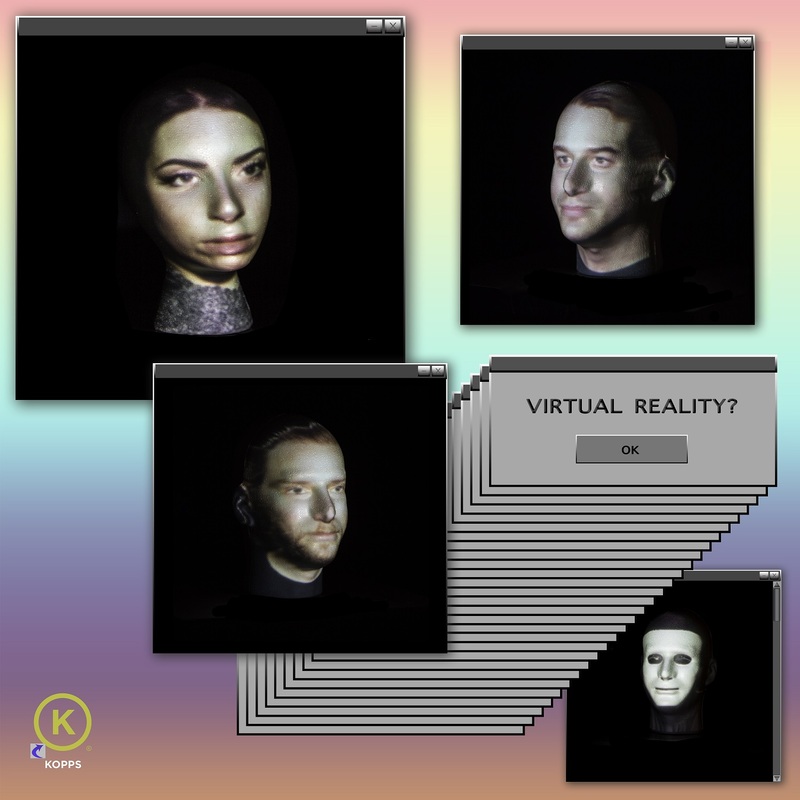 KOPPS’ new video for “Virtual Reality” perfectly captures this phenomenon of casting expectations on someone based on their online presence as opposed to their one in real life. Atwood Magazine is proud to be premiering the funky, ‘80s pop inspired music video for “Virtual Reality,” KOPPS’ ode to the new age of social media. Led by vocalist Patricia Patrón alongside bassist Kyle O’Hara, drummer Gesture, and guitarist Travis Johansen, KOPPS describe themselves as “CrazySexyCreepy,” which is exactly what their sound and latest music video embody. Hailing from Rochester, New York, the band wants to revive the sound of pop music, by “antagonizing” and “revitalizing.” They don’t want anyone to take them too seriously, and strive to create creepy yet humorous visuals for their infectious pop melodies. Directed by Andy Koeger and starring Mikaela Ruegg, KOPPS’ “Virtual Reality” music video is the story of a girl who focuses too hard on the virtual presence of a boy she recently met, rather than taking the time to know him. As the video goes on, the virtual boy blames their relationship issues on her, and how she is at fault for creating an unattainable image of him. 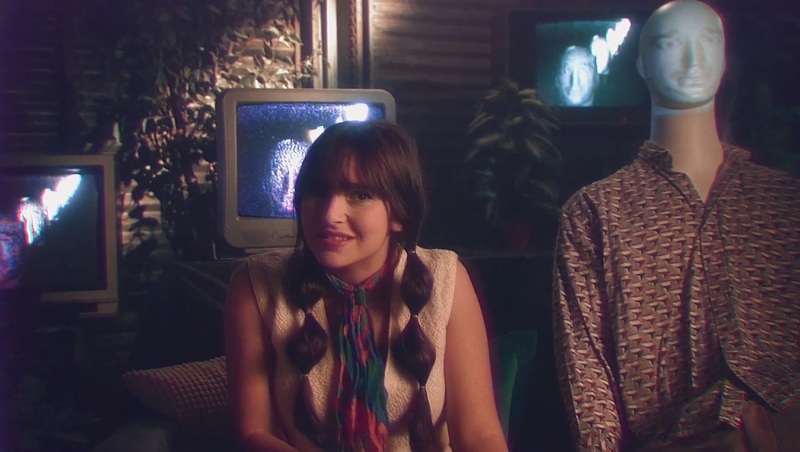 The second verse finds Patrón singing, “are you turned on, or is something wrong?” which suggests that the person cannot read how someone else is feeling through text online. This is one of the major issues of creating a “premeditated version” of someone else, because everyone understands text online in a different tone, just like perceiving the complete identity of someone and their personality, purely based on their photos and text posts on social media. By the end of the video, the girl realizes the destruction she has caused with all these implications, and how terrifying it was to understand that this guy is not the real deal, but rather an image in her head. 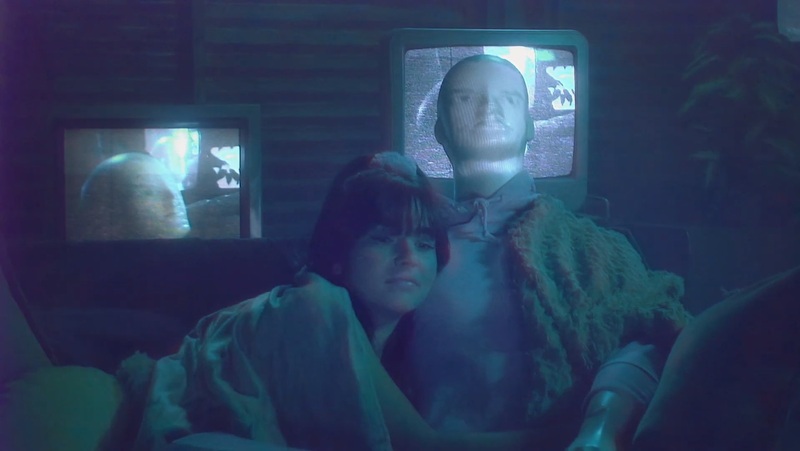 This visual representation that the music video provides is quite creepy, but is the reality of the danger when social media becomes too toxic. Watch “Virtual Reality” by KOPPS exclusively on Atwood Magazine, and keep an eye out for KOPPS in 2019; their addictive and funky tunes will surely brighten up any day. My name is Caitlin, I am 22 years old, born and raised in Southern California. Like most of the human population, music is something that has played a very important role in my life. Writing about music allows me to share my fascination with artists and their work and their process of creating it. I attended the University of California, Irvine and I spent a lot of my time volunteering at the school's radio station, KUCI. This definitely expanded my love and knowledge for non-mainstream music. Outside of the music realm, I spend my time taking photos (concert photography being my favorite), practicing my calligraphy, and spending time with my family, friends, and dogs. I am definitely a home body but learning about different cultures, hobbies, foods, places, and the world around me all excite me.